In the last blog, we focused on action. You can take a look at the full blog to learn How consistent ACTION gets you results in your business. The word for this week is SYSTEMS which includes processes and software. I invite you to watch the video or read the summary below to learn the effects of systems in your business. 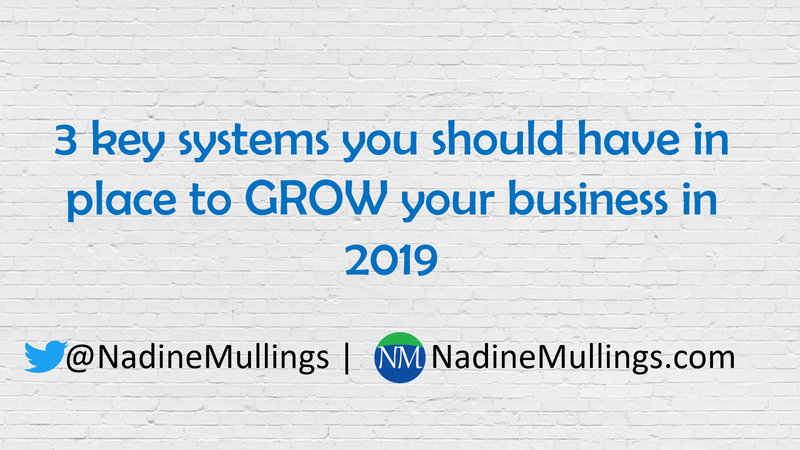 Systems in your business allow your business to operate effectively and efficiently and to help it grow. Let’s talk about 3 key systems you should have in your business. EOS (Entrepreneurial Operating System) – this includes products & services, customer service, product development and anything that helps your business operate. TRACTION is a great resource to learn more about EOS. ACCOUNTING/FINANCE SYSTEM – I recommend the book PROFIT FIRST to gain a better understanding of the process. I recommend QuickBooks for accounting software to help you with your system. MARKETING/SALES SYSTEM – The B.E.S.T. Marketing system is the system I would recommend for your marketing system which includes The B.E.S.T. Marketing Planner to help you plan your system. CoSchedule is a software that allows you to schedule your marketing in one place. Let me know what processes and systems you are using in your business.